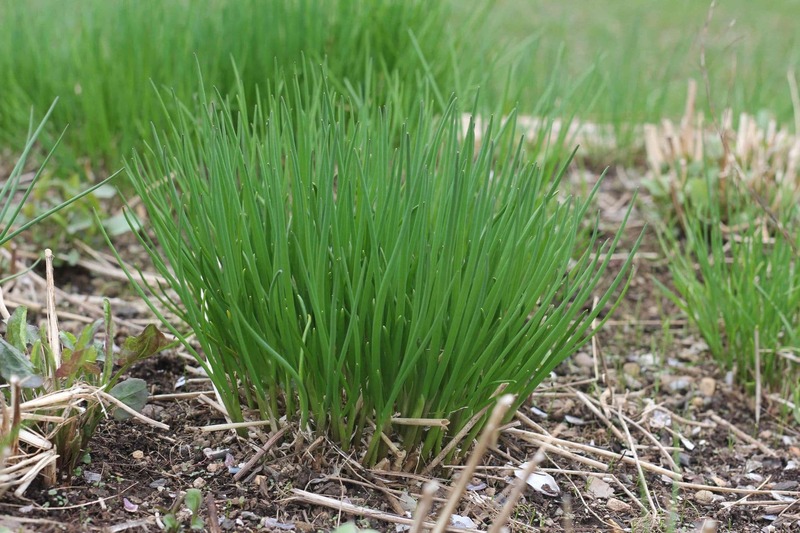 In early spring when the ground is just thawing, chives are one of the first plants to emerge from the ground. They are also one of the first spring time flowers for bees. 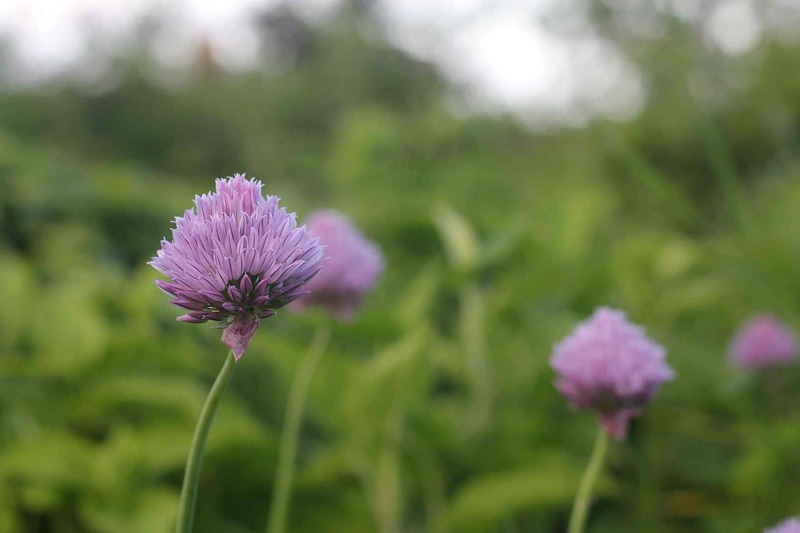 Chives are a hardy and easy to grow perennial in zone 3-10. 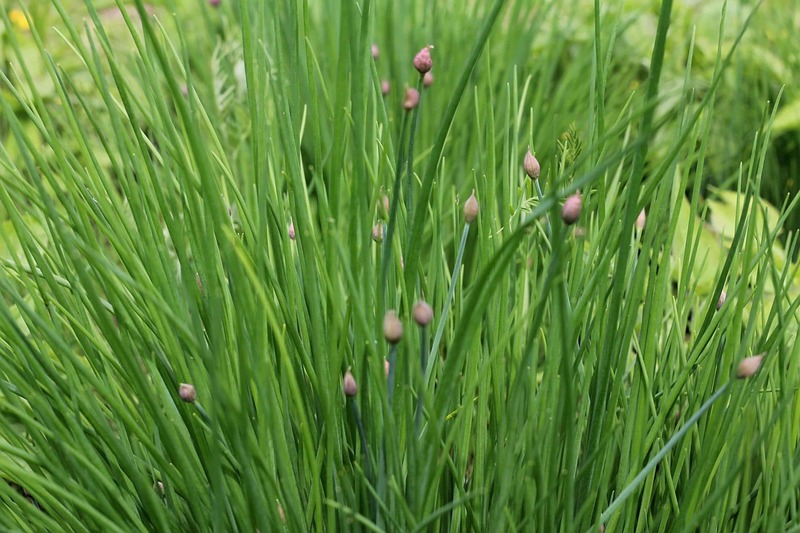 Chives are a member of the allium family grown for their attractive, edible scapes (stems) and blossoms. 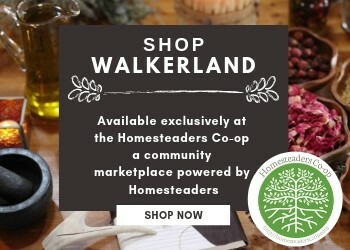 They offer a delicate onion flavour that you can use in all of your favourite recipes. We’ve usually run out of onions by spring so we truly welcome their arrival. 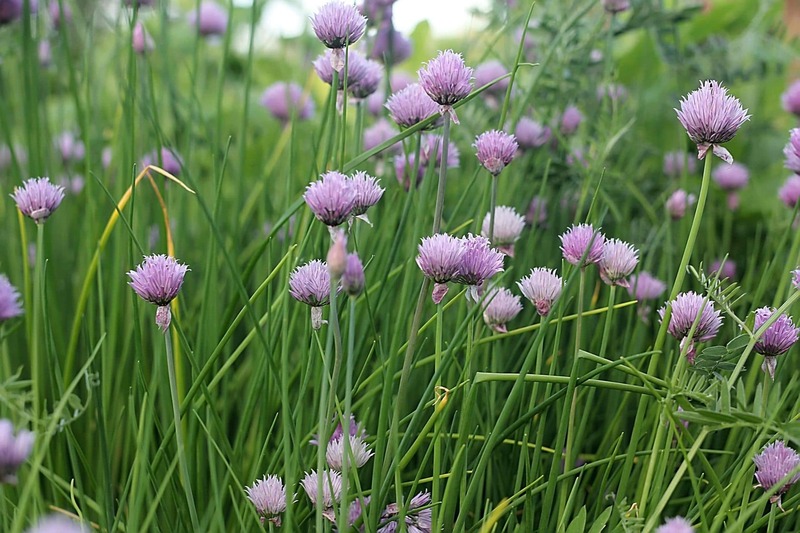 Chives prefer full sun and moist, well drained soil. The plants reach about 12 inches tall and have light purple flower blossoms in the spring. They grow well in the ground and in containers. You can start onion chives from seed or if you have access to a plant, you can dig up a clump in early spring, separate into bulbs and plant where you want. If you leave the flowers on, the plant will re-seed and spread. If you don’t want it to spread be sure to prune well before the flowers die. There are many great culinary uses for the flowers so be sure not to let them go to waste! Chives are said to improve the flavour of carrots and tomatoes. They are a good companion for all brassicas (cabbage, broccoli, cauliflower, kale, brussels sprouts etc) eggplant, kohlrabi, mustard, peppers, potatoes, rhubarb, roses, squash, strawberries, grapes & tomatoes They help to repel aphids, carrot rust fly, and Japanese beetles. 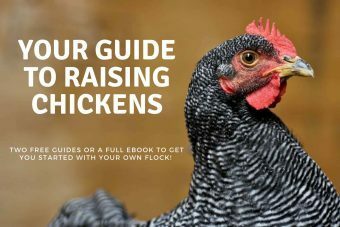 Simply take shears or scissors and chop off near the base. I recommend trying fried chive blossoms and pickled blossoms, they are both quite nice. To pickle blossoms, simply pack a jar with blossoms, cover with vinegar and let steep for a week or so. Once you have used all the blossoms you’ll be left with a nice onion flavoured vinegar. Onions chive blossoms make a beautiful cut flower. They don’t smell “onion-y” at all.